Flat rate bee removal and control in Tempe. Guaranteed service for one flat fee. 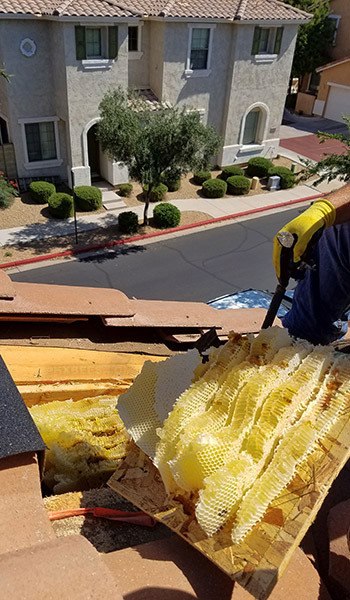 Honeycomb removal and repair service in Tempe. From start to finish we will take care of it all. 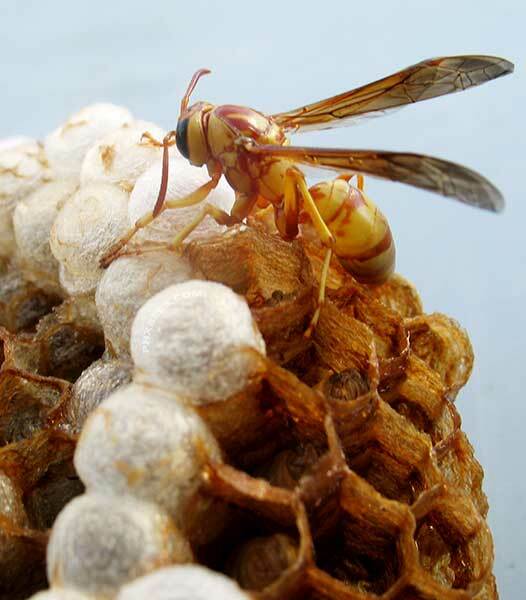 We offer extermination services for all species of wasps, hornets, and other stinging insects in Tempe. We get a lot of calls for bee removal in Tempe all throughout the Spring and Summer months to remove bees from properties and businesses. The city of Tempe is the home of the Arizona State University Sun Devils but it is also home to millions of honey bees. 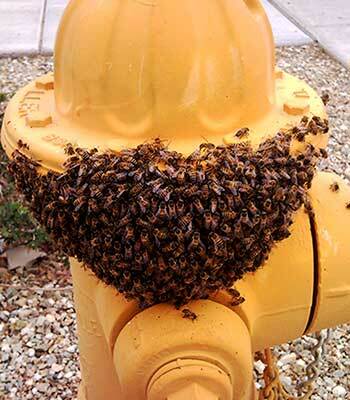 We've been servicing the city of Tempe for years and will continue to remove bees in Tempe for years to come. 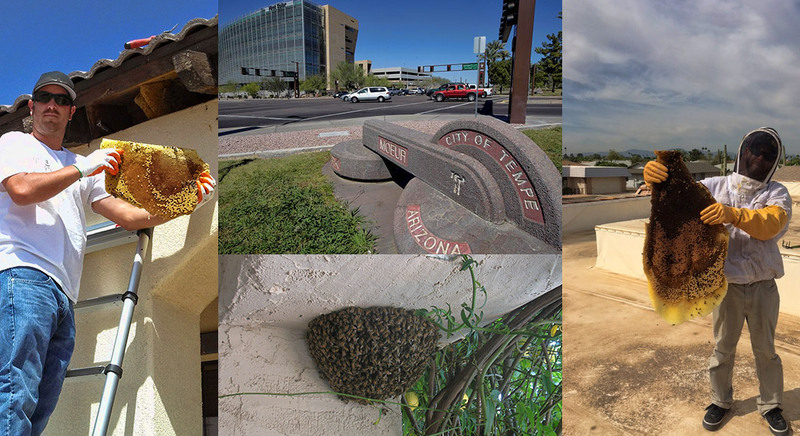 There are plenty of reasons for bees to call Tempe home from Tempe Town Lake to all of the gardens and flowers around the city. If you have a bee problem and live in Tempe give us a call and we will be more than happy to answer any questions you may have. Servicing Tempe Arizona for over a decade. Providing safe and effective bee and honeycomb removal and repair services. 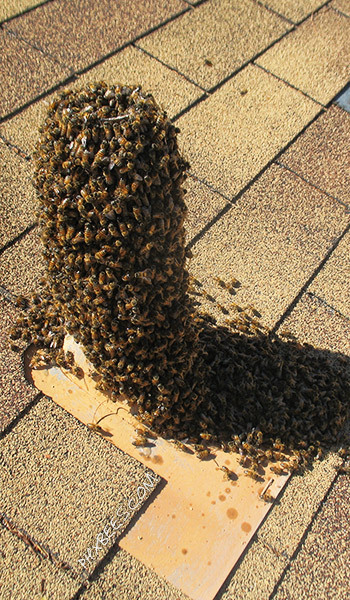 Have you recently had a beehive move into your home in Tempe? Or have you noticed bees have started getting inside of your home? We can help, we provide a low-cost flat-rate bee removal service that is guaranteed. We will solve your bee problem in the safest and responsible way possible. 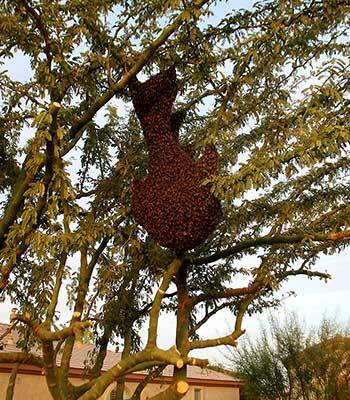 Tempe Arizona is a large city with tons of places bees like to create beehives in. We are here to help, give us a call today to schedule an appointment or to just get the information you need to keep you and your family safe from invading bees. All of the services we offer come with a service guarantee you can count on. We will make sure your bee problem is taking care of right the first time or we will return for free, that is our bee free guarantee. Our flat rate bee removal service for Tempe is offered Monday thru Friday. Weekend, Holiday, Emergency, and After-hour services prices will vary. According to the Arizona Department of Agriculture, 90% of feral beehives are now Africanized or "killer bees" as they've become to be known. Tempe is no exception to this. With over 50 bee attacks happening in Tempe each year, a number that continues to rise year after year. Our job is to make sure you and your family and neighbors stay safe. We do this with over a decade of experience in removing beehives from homes all throughout Tempe and Arizona. Every bee problem is different and needs to be approached in a safe and responsible manner by a trained, experienced bee removal professional. Trying to treat bees with no experience may lead to injury or even death. DO NOT TRY TO TREAT BEES WITHOUT PROFESSIONAL HELP. No two bee problems are the same and everyone should be treated or removed by a professional. 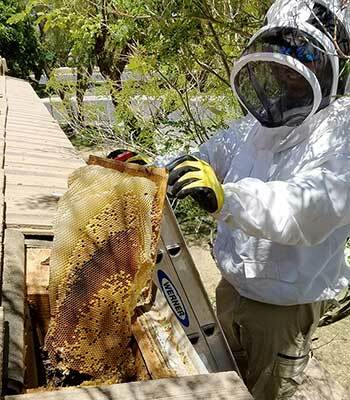 Amateur beekeepers are responsible for a large number of unintentional attacks in Tempe and around the Phoenix area. Also, under-trained or inexperienced pest control companies make up a large percentage of unintentional bee attacks as well. Homeowners, tenants, and landscapers make up the rest by trying to treat or spray bees with store bought chemicals or even gasoline. Honeycomb from a leftover beehive can and will cause extensive damage to your home or business. Having the honeycomb removed and the area sealed will always be our recommendation to prevent future infestations and any property damage. A beehive left on or in a home for a long period of time can and will cause permanent damage. Melting honey can drip down thru walls and in electrical outlets causing a fire hazard. Honey is also acidic and will slowly eat thru drywall and foam. Mold, mildew, and other pest are also a major concern after a beehive in a wall or roof has been treated. Dead bees and rotting honeycomb will begin to stink and attract insects and rodents to the area. Give us a call today to schedule an appointment and we can give you all the information needed to keep you, your family, and your neighbors safe from bees.